New DreamStation Go Travel CPAP from Philips Respironics - the new device that makes travel easier for patients with Sleep Apnea. Maximum performance wherever you go. Traveling and Sleep Apnea are already synonymous with comfort! Now you can go anywhere you want with the small, new DreamStation Go CPAP on the road. Designed for all those who want to travel and who suffer from Sleep Sorrow. It's so small it fits in any cabin case, so you don't have to leave your device at home when you're on the move. 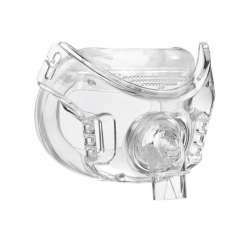 The DreamStation Go CPAP travel can be used in any type of transport: train, boat, car... Even on the plane! Although the size has been reduced, both the performance and clinical outcomes of the DreamStation Go Travel CPAP are just as good as the Philips Respironics CPAP counterparts: DreamStation Pro and Auto CPAP DreamStation. 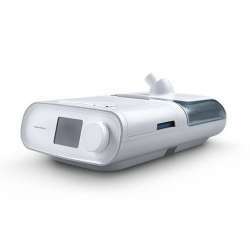 Compared to all other Sleep Apnea devices, the power supply is integrated in the DreamStation Go Travel CPAP. This reduces forgetfulness and the number of pieces you have to carry when you travel. 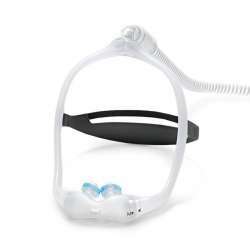 Undoubtedly one of the best features of this device is the integration of a USB port to charge any mobile phone or other device, leaving the plug free for lamps, clocks with alarm, etc..
With reduced components and improved mobility, the Travel CPAP DreamStation Go is FAA (Federation of American Aviation) approved for use on any flight, making it easy to use during long-distance travel. For convenience in airport security checks, the equipment includes a label on the bottom indicating that it is medical equipment suitable for use in aircraft. You can also use the DreamStation Go Travel CPAP with the removable battery or AC power supply (you will need to contact the airline for information on the power supply available on the aircraft). In addition, this device is capable of automatically compensating for altitudes up to 7,500 metres. No manual adjustment is therefore necessary. The DreamStation Go CPAP Travel is very easy to use and has a color touch screen that allows you to configure settings and view therapy information. Another new feature of the DreamStation Go CPAP is the MyStart function, which allows you to adjust the therapy start pressure until you feel comfortable and increase or decrease the default air pressure if it prevents you from sleeping. 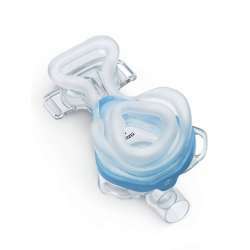 The tube of this equipment is 12 mm and much more flexible, small and lighter than the 15 mm CPAP Tube and the 22 mm Tube. When packing, it will facilitate packing in preparation and provide freedom of movement during sleep. Download the DreamMapper app: you can connect wirelessly via your Smartphone using Bluetooh technology to access therapy results. Up to one year's sleep data will be stored in the app. If you also have the DreamStation Pro or the DreamStation Auto CPAP, you can synchronize them with each other to prevent data mismatches. 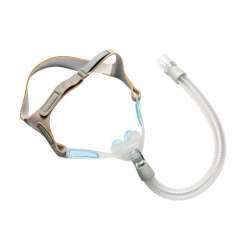 Flex technology patented by Philips Respironics: smoothes the transition from inhalation to exhalation by providing pressure relief at the start of exhalation. You can adjust the pressure relief level from 1 to 3 cm. Smart Ramp: Using the DreamStation Go CPAP fixed pressure travel you can adjust this function from the lowest to the highest pressure to ease the transition to sleep. Rechargeable battery: authorized by the FAA for use during the flight and with autonomy of up to two nights (approximately 13 hours) at a standard pressure of 10 cm H2O. Carrying case: available in two different sizes (small and medium). Pollen filter: designed for people suffering from allergies. 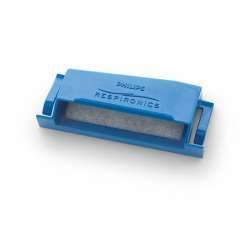 Reusable filter: designed to prevent the entry of impurities. Measurements: 15 x 15 x 5,8 cm (length, width, height). Pressure range: 4 to 20 cm H2O. Pressure mode(s): CPAP and APAP. Flex pressure relief: 1 to 3. Initial ramp pressure: patient-adjustable and via Smart Ramp. Data storage up to 1 year in the device. 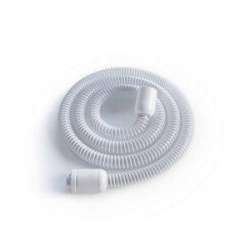 1 Micro 12 mm flexible tube. Not included: carrying case and case, SD card and mask*. 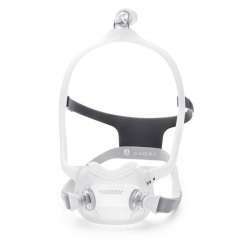 The warranty period for the DreamStation Go CPAP is 2 years. However, if any anomaly is detected both outside the equipment and in its operation, you can contact the TuTratamiento Official Technical Service in Spain. 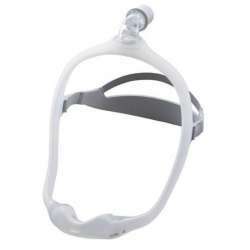 *In case you need a mask to complete the purchase of the device you can go to the  CPAP Masks section. Te agradezco tu comentario tan positivo y esperamos que disfrutes de tu compra. Te recuerdo que si tienes cualquier duda sobre el funcionamiento del equipo puedes contactarnos en cualquier momento y te ayudaremos.